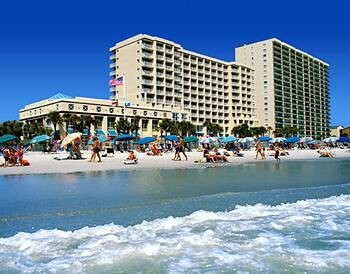 Property Location When you stay at Ocean Drive Beach & Golf Resort in North Myrtle Beach, you&apos;ll be on the beach and convenient to Mayday Golf and Surf Golf and Beach Club. This beach condominium resort is within close proximity of Molten Mountain and Beachwood Golf Club.Rooms Make yourself at home in one of the 180 air-conditioned rooms featuring kitchenettes with refrigerators and microwaves. Complimentary wireless Internet access keeps you connected, and cable programming is available for your entertainment. Conveniences include safes and coffee/tea makers, and housekeeping is provided daily.Rec, Spa, Premium Amenities Dip into one of the 2 spa tubs or enjoy other recreational amenities including a nightclub and a lazy river. This condominium resort also features complimentary wireless Internet access, concierge services, and an arcade/game room.Dining Enjoy a satisfying meal at a restaurant serving guests of Ocean Drive Beach & Golf Resort. Relax with your favorite drink at a bar/lounge or a poolside bar.Business, Other Amenities Featured amenities include a 24-hour front desk, laundry facilities, and ATM/banking services. Event facilities at this condominium resort consist of conference space and meeting rooms. Free self parking is available onsite.